Teak Bathtub Caddy is made of natural teak wood which is known for its strength, beauty, and durability. The organic oils and resins found in the wood makes it naturally resistant to water making it a must have for bath time. 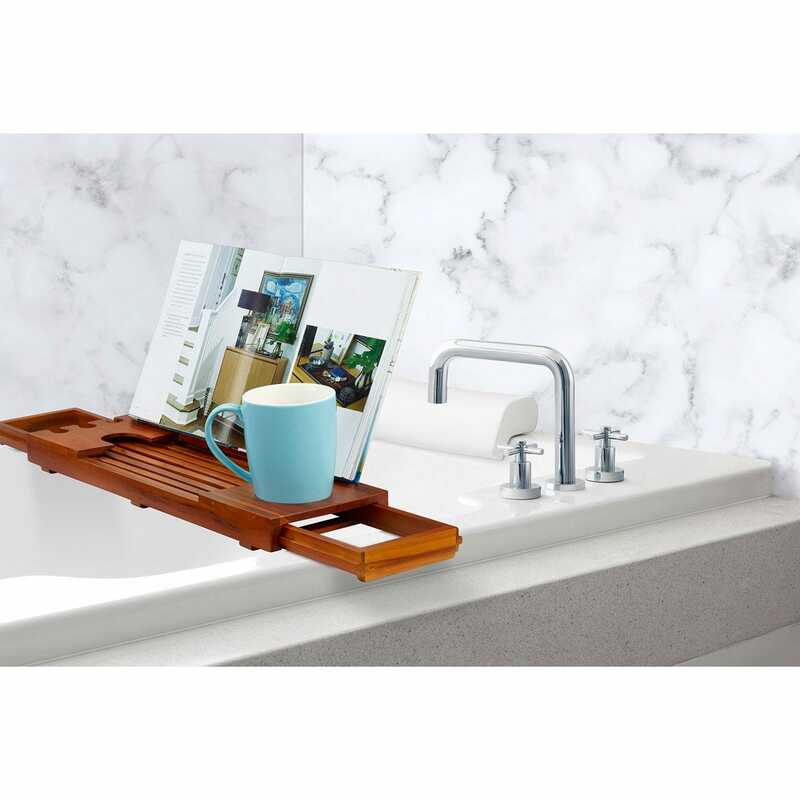 The built-in book and beverage holders make it even easier to enjoy the peace and relaxation of a candlelit bath. Expands from 28” – 31” to fit any standard bathtub. Closed measurements are 19 1/2”l x 7”w x 2”h.